An unforgettable wild ride on the river Danube. When you thought that you have seen Budapest from every angle possible, then comes the REDJET and the 360-degree turn. 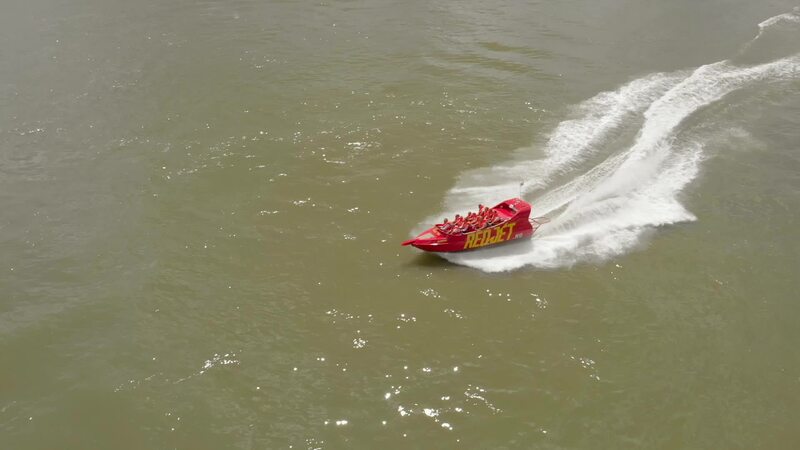 Experience the limitless speed on the board of the 440 horsepower REDJET and be the fastest on the Danube! Teambuilding? Bachelor or bachelorette party? Class reunion? Or maybe you just want to get or give an unforgettable experience on the water? Reach us via e-mail at info@redjet.hu and rent the REDJET with your family, friends or coworkers! One thing is guaranteed: you will get your feet wet! Surprise Your family or friends with an unforgettable experience! For gift card please click to "BUY A GIFT CODE! "-link via website. The voucher redeemable for one year after issue date. Advance reservation is required on our website at www.redjet.hu!